Have you ever read an e-mail or seen a tweet with a certain phrase and had a powerful moment of “ugh”? Had a moment where you recognize something is not right, the focus is off, or think “I can’t get behind that goal”? I read awhile ago an e-mail outreach about a committee in my city, planning to meet to discuss hate crimes, racism, and bullying, and to create a “Hate Free Zone”. That got me. Way down deep. A “Hate Free Zone“. Is this what we want? Do we want to create little islands of peace and accord, separate and protected from the greater big bad world? Do we want to focus on making our communities “hate free” and in the process, turn our backs to everyone else? Now, before you jump down my throat (and maybe it’s too late) I am absolutely all about acceptance and respect, about diversity and many ways of living life, about considering others in our actions and words, and about lending a helping hand to a neighbor and strengthening our interdependence. Which is why I cannot support a “hate free zone”. I will not settle for just “hate free” or for a “zone”. I will not settle for a shelter-in-place mentality when it comes to social equity and, quite frankly, common decently and humanity to humans. I want it all. Let’s put our efforts into broader based endeavors with positive goal outcomes. Think of the LEED system which evolved from measuring levels of toxins in specific products within a building to measuring the air quality within a building during operations. The first does a lot to create awareness and cherry pick inputs, but the second is the real goal. We want good air quality for the occupants. If we fail, we’ve done the individual pieces wrong. However, the creation of green buildings will ramp up and be more understood and impactful if we identify that the objective is clean air for the health of the building occupants, and then we guide and help people to get there. If we don’t define that optimal goal then no one understands the “why”. We don’t want “Hate Free Zones”. The optimal goal is a happy, healthy, safe community without imposition of geographical limits to that safety and that is not achieved just by putting the ka-bash on hate in one zone. We create it by loving our neighbor, connecting, and caring. The hate won’t live if the fabric of respect is strong and resilient. Invite me to take part in a committee to work on a “total acceptance community” plan. Or a “Healthy and Respectful Neighbor” designation, to spread all over town. 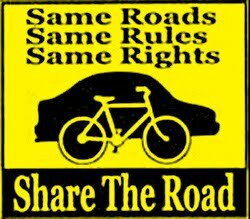 When I see a sign on a city road that says “Share the Road” I truly wish it stated “Share the Roads“. 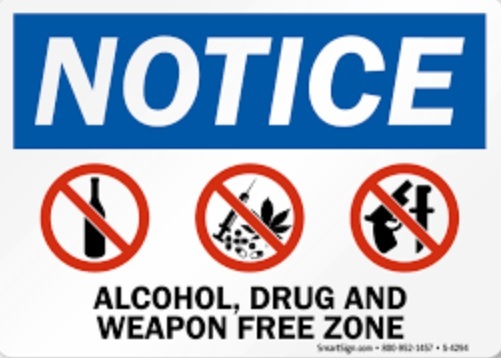 I pass by a school in Albany every day that has a sign “drug free zone” about 50 feet from the bus drop off. I am certain that every time someone reads this sign they have a subliminal reinforcement of the idea that drugs are fine everywhere else. Spell out, and work for, the real goal.